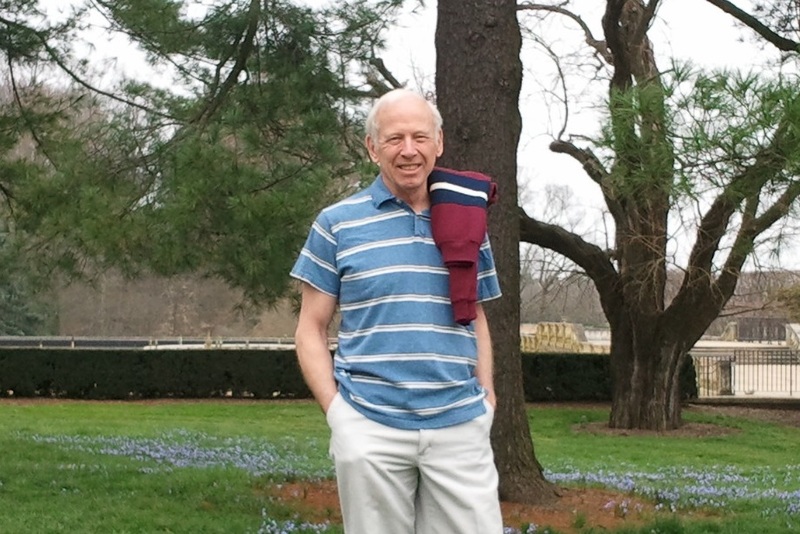 Fred Wiand, Democratic presidential candidate. Fred Wiand announces his campaign tour send off, Saturday, April 6, 1 p.m., at the China Lake boat landing at the north end of China lake. Fred is a Democratic candidate for president in 2020. In addition to numerous issues that need solutions by either revamping or initial action, one focus will be solving global warming/climate change and rejoining the Paris Climate Agreement on Inauguration Day. Subsequently, he will have a panel of experts meet and forward a framework of action within the first 60 days in office. First steps will then start within 30 days after. This will be part of short term actions that will lead to long term solutions to global warming/climate change. That doesn’t mean that other current and new issues will be overlooked, he stressed. For instance, universal healthcare, tax reform, infrastructure, campaign finance (He will not accept PAC money.) immigration, DACA, gun safety, #Me-Too and LGBTQ will be addressed. “Government shutdowns will not happen,” he emphasized. According to Wiand, his administration will be to serve the people, all the people, all the time. His administration will be transparent, honorable and press friendly. He will have press conferences and the press will be treated civilly. “Truthful information will be made available for the public during dignified meetings,” he concluded. Wiand invites supporters to attend the send off as he starts his extensive campaign tour down the east coast, then heads west. CHINA — Town Manager Dennis Heath explained the revised town report and redesigned town business meeting warrant to two dozen residents at an informational session held March 24 at the library in China Village. The 2018 town report is in four sections: the usual lists of officials, overdue taxes, deaths and marriages and information on town organizations, followed by three addenda: a 43-page audit report for the fiscal year that ended June 31, 2018; Heath’s summary and explanation of the budget proposed for the fiscal year that begins July 1, 2019; and the warrant for the April 6 town business meeting. The town business meeting begins at 9 a.m. Saturday, April 6, at China Middle School, if the 119 voters required for a quorum are present. Pre-meeting presentations and notices are scheduled to begin about 8:40 a.m. Expenses have been made clearer by assigning costs to appropriate individuals and departments, instead of having, for example, a separate warrant article lumping all insurances. The result is elimination of 13 accounts, reduction of the April 6 warrant to 31 articles (there were 43 articles in 2018) and, Heath promised, a meeting that will last less than five hours. Copies of the report are available at the town office and other public places in town. The manager encouraged voters to read it before the meeting so they will understand for what they are voting. The budget committee and the selectboard agree in their recommendations on all but two warrant articles, including the major expenditures for administration, public works and the transfer station. On Art. 9, fire and rescue services, the budget committee recommends$181,499 and the selectboard $171, 199, for reasons firefighters and selectmen have explained (see The Town Line, March 14, page 8, and March 21, page 1). On Art. 23, asking voters to increase the selectmen’s annual stipends from $1,000 to $1,800, four selectmen recommend approval (the fifth was absent) and five budget committee members recommend denial (Chairman Robert Batteese was the only supporter, with one member absent). Vassalboro selectmen spent most of their short March 21 meeting talking with residents about the proposed hike in sewer fees, a topic that came up again in the following discussion with the budget committee. More than a dozen Vassalboro Sanitary District customers came to protest the higher rates needed to fund the connection with the Winslow sewer system. When the project is completed, sewage from East and North Vassalboro will run through Winslow to the Waterville treatment facility, and the Vassalboro District will close the aged sand filter beds currently treating the villages’ sewage. Christina O’Rourke, from North Vassalboro, and others said Vassalboro already has the highest sewer rates in Maine, before the proposed increase almost doubles them. Many of the 192 customers are behind on their bills. The increase will cause some residents to consider moving while making their houses harder to sell, people said. They asked for an article in the June town meeting warrant requesting tax money to help the Sanitary District. Selectmen explained the petition procedure to put an article on the warrant. In past years, selectmen have given money from Vassalboro’s TIF (Tax Increment Finance) fund toward the Sanitary District project and toward ARI (Alewife Restoration Initiative). The TIF fund collects the tax money from the gas pipeline that runs through Vassalboro and sets it aside in a state-regulated program that allows it to be used only for economic development projects. When the budget committee met, ARI representatives Landis Hudson and Nate Gray asked its members to continue supporting ARI, which is intended to allow alewives access to China Lake. This year’s projects are building fishways at the Ladd and Box Mill dams in North Vassalboro. ARI has already overseen removal of the Masse dam, in East Vassalboro, and the Lombard dam between the two villages. Only the Morneau dam, which Hudson said is under discussion, and the China Lake Outlet dam, where a fishway is planned, remain as obstacles. Alewives currently running into and out of Webber Pond are harvested each spring and sold for lobster bait. Town Manager Mary Sabins said until last year the town had been earning around $18,000 annually; last year, a higher price increased the amount to more than $25,000. Gray predicted the run into China Lake would be significantly larger, so once state officials are satisfied that it is self-sustaining, Vassalboro can expect more income. Selectman Lauchlin Titus suggested taking funds for ARI, if voters approve them, from alewife income, leaving more TIF money for the Sanitary District. Budget committee members also heard from representatives of the Vassalboro volunteer fire department, the Cemetery Committee and the China Region Lakes Alliance (CRLA). Firefighter Mike Vashon said the department’s two-year reroofing project at the Riverside fire station will slightly exceed the $25,000 budgeted, judging by preliminary information. A bid opening is scheduled for Wednesday, April 3. Vashon said the department is applying for grant money to buy new Scott air packs and a new fire truck. Some of the department’s current air packs are old enough so they could fail when a firefighter is inside a burning building, and a 38-year-old fire truck has already cost a lot of money for repairs and now needs a new radiator. The department welcomes donations to be used as matching funds if a grant is awarded, Vashon said. The Sukeforth Foundation has already assisted. Cemetery Committee spokesperson Jane Aiudi said the committee’s increased budget request is intended to cover tree removal, not done for the last four or five years, and purchase of a software system to inventory and maintain cemetery records. She and Sabins agree that an $8,000 system is most suitable. CRLA President Scott Pierz presented a four-page document explaining the organization’s request for $14,000 from Vassalboro. Part of the money would support CRLA’s operational costs; the majority would fund a survey around Three Mile Pond to identify gravel roads contributing run-off into the pond, Youth Conservation Corps projects on Webber Pond and Seaward Mills Stream and the Courtesy Boat Inspectors at the East Vassalboro boat landing, whose job is to protect China Lake from invasive plants. The next budget committee meeting is scheduled for 7 p.m. Thursday, April 4, at the town office, after that evening’s 6 p.m. selectmen’s meeting. 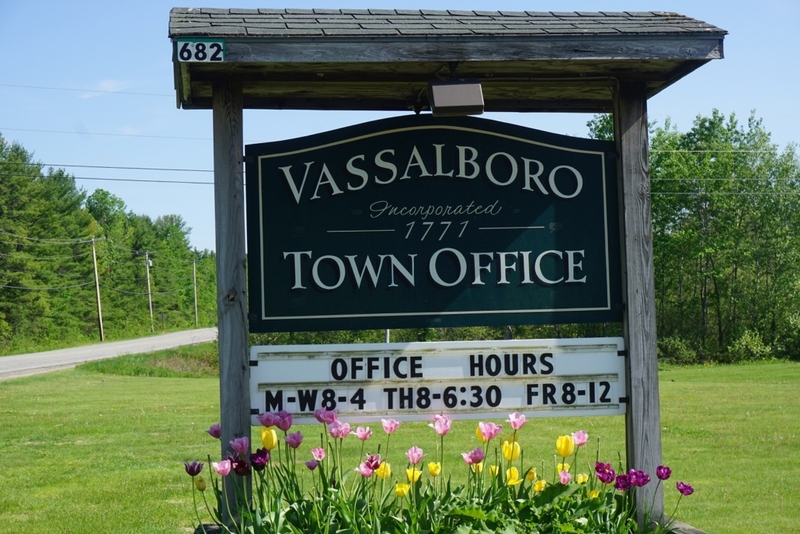 Nomination papers are now available for Vassalboro’s June 11 local elections. One Selectboard member and two School Board members are to be elected. Terms ending in 2019 are those of Selectman Lauchlin Titus and School Board members Jessica Clark and Kevin Levasseur. To put a candidate’s name on the ballot, at least 25 but no more than 100 signatures of registered voters are required, and signed nomination papers must be returned to the town office by noon on Friday, Aporil 12. 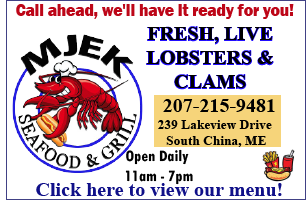 China selectmen have agreed to spend money to advance one town goal and perhaps to spend more in the future to advance a second goal. After discussion in executive session at their March 18 meeting, the four board members present voted unanimously to pay Susan Bailey $7,500 for her piece of land at the head of China Lake’s east basin, plus acknowledging an additional $2,500 contribution from Bailey, with a plaque recognizing the contribution to be installed. In November 2016 voters approved spending up to $10,000 for the land, which is used for boat landing parking. Improving the boat landing area is part of the TIF (Tax Increment Finance) Committee’s plan for increasing recreational opportunities. During the March 18 open meeting, board members unanimously authorized the Broadband Committee to prepare an application for a grant for equipment to expand broadband access. Town Manager Dennis Heath warned that “This is not going to be a small request.” If the grant is received and requires a local match, it will exceed the $55,000 selectmen asked voters to approve at the April 6, 2018 town business meeting for a year’s worth of grant-matching. Heath said he will write the application for selectmen to review. The deadline for submitting it is late in April, he said. After the executive session selectmen took two other actions. They accepted a refund of more than $16,000 from former Town Manager Daniel L’Heureux for over-payment of accrued compensation funds; and they authorized Heath to offer the assistant codes officer position to a person to be named if he or she accepts the job. Board members approved a red light application for a China Village firefighter. After discussion with police officer Tracy Frost, who agreed with Heath that fire chiefs approve the applications and do not need selectmen’s assent, they voted in future to ask only for after-the-fact reports as China’s three fire chiefs add new red-light users. Selectman Irene Belanger invited residents to share with her their ideas about appropriate celebrations for the 2020 State of Maine Bicentennial. If China selectmen stay on their regular schedule, their next meeting will be Monday evening, April 1. 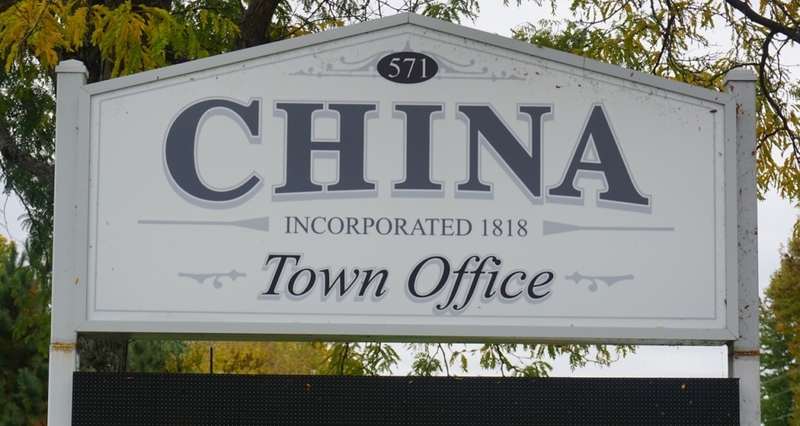 The China Board of Selectmen responds to “An open letter to China residents from the town’s fire chiefs” (Letter) printed in the March 14, 2019, issue of The Town Line. Despite any assertions otherwise, the Board of Selectmen are not attempting to control the volunteer fire departments (VFDs) in China. As was correctly noted in the Letter, these are independent nonprofit corporations, organized under the authority of the Maine statutes. They are not municipal fire departments, so their requests for funding from the Town of China are similar to requests from other nonprofit organizations, such as the Red Cross, Meals-on-Wheels, etc. The only difference is the Maine statutes have this language, “The appropriation of money by a municipality toward the support of an organized firefighting unit incorporated under Title 13, chapter 81, or Title 13-B, is prima facie evidence of official recognition.” (30-A M.R.S. Sec. 3151(3)(B)) This means that a municipality does not require a written contract with these VFDs for them to operate in the town. In addition to the annual budget requests from the VFDs and the recommended stipend amounts, the town also provides insurance coverage for all VFD facilities and vehicles, which are their corporate assets (one fire vehicle may be owned by the town). The Maine Municipal Association includes this guidance in their legal packet on fire protection (https://memun.org/Member-Center/Info-Packets-Guides/Fire-Protection): “…the municipal budgetary authority (town meeting or town or city council) may properly inquire about what other funds are available before appropriating public monies to support a separately incorporated volunteer fire department.” This appears intended to ensure that only those funds necessary to supplement the private funds of VFDs are appropriated from taxes paid by China residents. 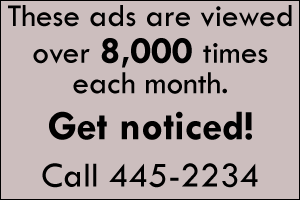 This should not be seen as the Select Board viewing “VFD fundraising dollars as a revenue stream for the town;” rather, it is a recognition that taxpayers in the municipality have a right to ensure they are only supplementing the needs of VFDs, not acting as the only funding source for their operations. The Board of Selectmen does not have the authority to approve the annual budget; that is a function of the Annual Town Business Meeting, where the taxpayers decide on the budget. The Select Board and the Budget Committee deliberate independently and make their respective recommendations to the taxpayers in the annual warrant articles. It was during these deliberations that the Select Board saw what they viewed as “double-dipping” by the officers of the VFDs. In the VFDs’ report of how the mid-fiscal-year stipends were distributed at the end of 2018, the Select Board saw that one VFD paid out $3,720.00 to five officers and $1,310.00 to the other 11 members. This department has a current fiscal year allocation for stipends of $8,360.80, meaning there is now $3,320.80 available for end-year stipends. This revealed a difference of understanding about how the stipends were to be distributed. The Select Board believed it was a set stipend for four officers in each VFD (chief, $1,000; assistant chief/captain, $500, lieutenant and secretary, $250 each) and the remainder was to be distributed to the other volunteers based on the level of participation. The VFD chiefs believed the officers should receive the set stipend and then share with all the other members in the remaining stipend money according to their participation in calls. This is where the Select Board and VFD chiefs are differing, and that is why the Select Board asked the town manager to present an alternative stipend plan, to stop the double-dipping (chief, $1,000; two officers, $500 each; $300 calculated for each additional volunteer). The Select Board has requested for several years that the VFDs supply an annual corporate financial statement, just as they do with all other nonprofit corporations requesting town funds. The quarterly reports that the town manager receives from the VFDs help to show how the town’s funds are spent, but do not help the Select Board see whether the amount appropriated each year is the amount necessary to supplement the VFDs’ private funds for their operations and administration. This is not about “reducing VFD operations budget allocations,” but about keeping VFDs accountable to taxpayers. Since August 2018, the VFDs have had a standing invitation with a spot on the Select Board meeting agenda to communicate with the Select Board about their activities. To date, none of the VFDs has participated in a Select Board meeting for other than a budget deliberation. We do not have a similar invitation for other nonprofit corporations that the town provides funding to, but we realize that the VFDs provide a vital service to our community, and we want to keep the door to communication open. We are hopeful that the chiefs, officers, and members of the VFDs will see that we don’t want to control how they operate, but we do want to do our job to protect the taxpayers of our town. That is what we were elected to do and we will not back away from that responsibility. We want the stipend money to be shared fairly among the members of the VFDs. We commend the VFDs and their members for the work they do to provide firefighting services, and we look forward to moving past this unfortunate disagreement. Vassalboro selectmen’s March 7 topics included sidewalks, sewer fees, solid waste hauling and dam management. The sidewalk discussion related to state plans to rebuild Route 32, tentatively in 2021 or 2022. 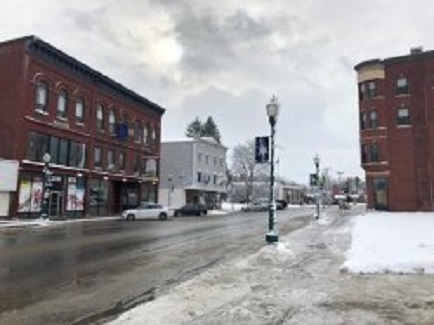 The question was whether sidewalks in the built-up sections of North and East Vassalboro would increase safety and convenience compared to the five-foot paved shoulders in the state plan. Board Chairman Lauchlin Titus said the current sidewalks in North Vassalboro are not well maintained in winter and are so bumpy year-round that people often walk in the roadway. The state project would include new sidewalks, but maintenance would be a town responsibility, meaning costs for plowing, salting and sanding and repair as needed. East Vassalboro resident Holly Weidner thinks drivers would not respect the wide shoulders as pedestrian territory, but would take them as an excuse to drive faster. Titus and Weidner agreed traffic-calming measures in both villages should be part of the rebuilding project. Board member John Melrose, a former Commissioner of Transportation, expects the state transportation department to hold a public meeting to collect residents’ views when the project is closer to reality. A resident raised the question of sewer fees, which are scheduled to almost double April 1 to help Vassalboro Sanitary District trustees fund the proposed connection to the Winslow and Waterville sewer system. Another resident said 192 households are on Vassalboro’s system, which serves East and North Vassalboro; many are already delinquent on current sewer fees. The first speaker asked whether tax money could be used to help residents pay sewer bills. Titus said residents who want a question about spending tax money on the town meeting warrant need to draft it and get 211 voters to sign a petition supporting it in order to compel selectmen to add it. The town has donated TIF (Tax Increment Financing) funds to the sewer project and is likely to continue to do so, he said. Board members reviewed five bids for hauling solid waste and unanimously accepted Bolster’s Rubbish Removal of Burnham as hauler for solid waste and recyclable cardboard. The bid forms invited bidders to propose alternative methods to the containers the town now uses; Town Manager Mary Sabins said no one did. The dam issue involves the contract under which the Kennebec Water District (KWD) manages the Outlet Dam in East Vassalboro to keep the China Lake water level within state guidelines. Sabins said the contract expired Jan. 31. The draft renewal submitted by KWD increases the fee charged to Vassalboro and reassigns some responsibilities from KWD to the town. Sabins said KWD General Manager Roger Crouse had invited her to discuss the contract. Selectmen encouraged her to accept the invitation. The next regular Vassalboro selectmen’s meeting is scheduled for 6 p.m. Thursday, March 21, with a budget committee meeting scheduled to follow at 7 p.m.
Vassalboro Budget Committee members absorbed much information and many opinions at their March 5 and March 7 meetings, though they are well short of overall budget figures needed to begin making recommendations to voters. The total budget for the current (July 1, 2018, to June 30, 2019) fiscal year is somewhat under $10 million. The school budget, which is not yet determined for 2019-2020, is somewhat under $8 million, of which almost $3.7 million comes from local funds. Vassalboro’s share of the 2018-2019 Kennebec County budget is $325,000 and change, with the 2019-2020 assessment also undetermined as of early March. Questions budget committee members discussed at their two early-March meetings include whether to repair the town grader, buy a second-hand replacement or ask Road Commissioner Eugene Field to lease a grader as needed; whether to replace the police cruiser; additional staffing and possible redesign at the transfer station; and town employees’ salaries. Field thinks repairs possible. He recommends committing at least $20,000 to have the grader examined and tested; if it is repairable, he expects at least another five years’ work from it. He said he found one used grader, a 2005, for $80,000; he does not support buying a new one at $280,000 or more. Vassalboro has only 2.2 miles of unpaved public roads that need annual grading. However, Field said, he and his crew use the grader for shoulder work after paving and as the reserve vehicle in case a plow truck breaks down in mid-storm. Graders are not readily available, he said; if he had to rely on leasing he might not find one when needed. Discussion of the grader, planned 2019 paving and deteriorating culverts led several people to share accounts of towns elsewhere whose officials have discontinued or dead-ended roads when they could not afford maintenance or a replacement bridge. Field also requests funding for a new small truck. Asked at the March 7 meeting whether the truck or the grader is more important, he said he needs both. Police Chief Mark Brown wants his 12-year-old cruiser replaced. He recommended buying a new one, preferably an all-wheel-drive SUV prewired for lights and siren, over three years. The estimated annual payment would be about $13,000. At this early stage in the budget process, his proposal appears to have support. Transfer Station Manager George Hamar said he would like a full-time assistant. 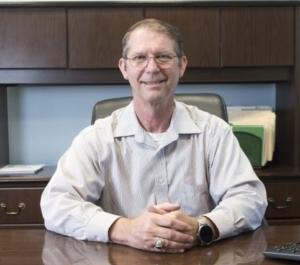 He has worked alone for a year, having to skip training classes and find a substitute if he is ill.
Town Manager Mary Sabins is considering seeking a new employee qualified to divide hours between public works and the transfer station. Selectman John Melrose proposes a $5,000 appropriation to get a traffic engineer’s suggestions about changing the traffic pattern at the transfer station to make it safer. Sabins presented her salary recommendations for current town employees and for any new hires. At this stage, the only firm figure in that area is Sabins’ contractual two percent raise. The budget committee’s job, as re-elected Chairman Rick Denico reminded members March 5, is to advise voters on selectmen’s and school board members’ recommended expenditures for the new fiscal year. “We can work with the numbers, but we can’t change policy,” he said. Later in the meeting, budget committee member and former Police Chief Richard Phippen wanted to talk about the selectmen’s policy on policing, which emphasizes community policing and leaves monitoring for speeders mostly to county and state law enforcement. Phippen said residents want as much speed control as possible; Denico repeated policy is not the budget committee’s job. Policy and priorities, resident Holly Weidner suggested, should be considered at one or more public meetings in the fall, well before the pre-town-meeting budget crunch. Denico referred her to the 2014 Capital Expenses Committee reports on the town website as a starting point, and Selectman Robert Browne invited her to bring concerns to a selectmen’s meeting. The budget committee canceled scheduled March 12 and March 14 meetings, because Sabins will be out of town – in Washington, D.C., representing Maine in her capacity as Maine Municipal Association President, Titus said approvingly. They also canceled a March 19 meeting because they had talked March 7 with most of the people invited March 19. Their next meeting is currently scheduled for 7 p.m. Thursday, March 21, after that evening’s selectmen’s meeting. Expected attendees include representatives of the volunteer fire department; a Cemetery Committee representative to explain a request for money for software; and any social service agencies whose requests are new this year. The exceptions are included in the state statutes here: http://mainelegislature.org/legis/statutes/29-A/title29-Asec2395.html. The resulting damage to our local roads from overweight vehicles demands that we strictly limit granting waivers. Waivers for convenience will not be issued. Use of local roads when the outside temperature is lower than 32F is permitted, but only when evidence of thaw seepage through the roadway is not visible. 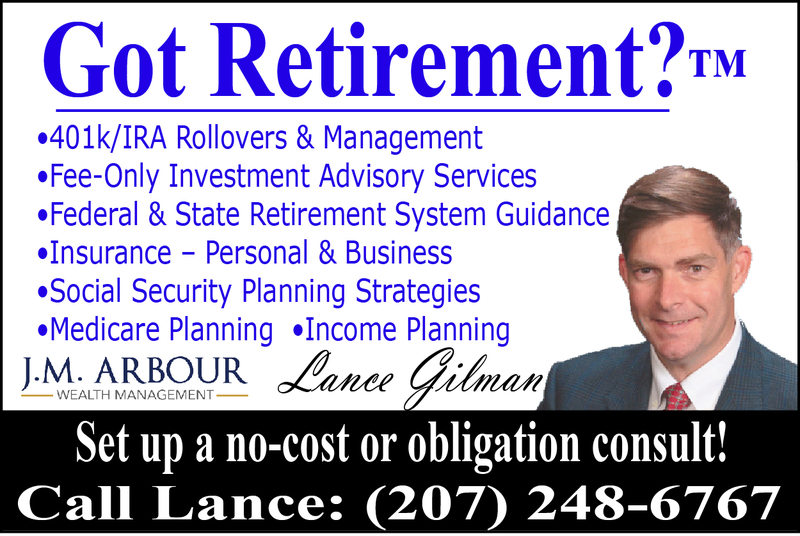 Please contact (207) 445-2014 with questions or emergency requests.